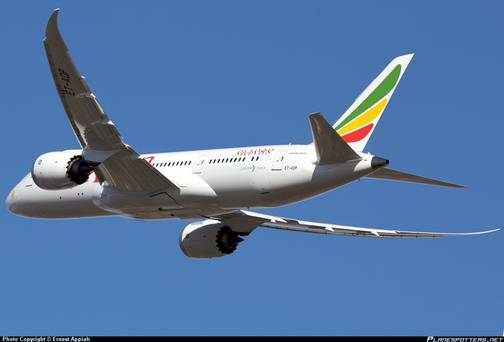 Ethiopian airline on Monday dismissed allegations that it failed to communicate with the family of a passenger who died while in transit. Mary Khavugwi ,51, booked a flight on September 27 from Heathrow Airport in London and was set to land in Addis Ababa before connecting to Nairobi on September 28. The airline in a statement also dismissed allegations by the family that it is still withholding two hand luggage. It said it did all it could to rescue her at airline medical unit when she fell sick. Khavugwi,a retired civil servant had gone to United Kingdom to pay a visit to her daughter and was set to jet back to the country on September 28. The family last week accused the airline for neither communicating her death nor releasing her luggage. Ethiopian airline termed the allegations “erroneous as Khavugwi had been taken to a medical unit and given all the required assistance to rescue her life”. Ethiopian airline said she had no recordable blood pressure but only feeble pulse at the carotid artery (on the side of the neck). “Despite the relentless efforts of the medical crew, passenger remained lifeless with no regaining of spontaneous heart beat and respiration and passed away,” it said. The airliner while conveying emphatic condolence to the family and relatives of the deceased said the embassy was officially informed of the incident before the body was taken to Menelik II hospital. The family had accused the airline for withholding deceased luggage. The airline however said Passport was taken by Police and while her hand bag was delivered to Ethiopian baggage service. “Two checked in bags and personal belongings, Sh5000, 120 pounds and two Samsung mobile phones were also delivered to the family,” it said. The airline dismissed allegations that the family had sought clarification on how the airline could help ship the body to Kenya, track luggage and travel documents as well as immediate circumstances surrounding her death saying they were given in good time.